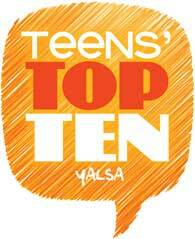 Voting is now open for the 2018 Teens’ Top Ten! Click here to vote from our website! There you can see the full list of nominees and see if they’re checked in or not. Did you read them all? Which ones were your favorites?